Some stuff that isn't going to display anyway. The Henryton State Hospital is a complex of abandoned buildings located in Marriottsville, Maryland. Opened in the early 1920's as the Henryton Sanitarium, this facility served as a hospital for African American tuberculosis patients. In the mid-1960's it became the Henryton State Hospital for mentally disabled adults and children. It closed in 1985, and has been sitting vacant ever since. On a pre-investigation visit, Dave and Jenny did a ghost box session in the driveway leading to the Henryton State Hospital. Chris, can you hear us? During the session, Jenny and Dave communicate with a spirit named Chris. When asked if he can hear them, he very clearly says, "Yes." What are you, Chris? Answer: Entity. Chris, are you still there? Who's Chris? Ghost Harmonica? - While in the main hospital building, two of our investigators were singing "Amazing Grace." In the background you can hear what sounds like a harmonica. 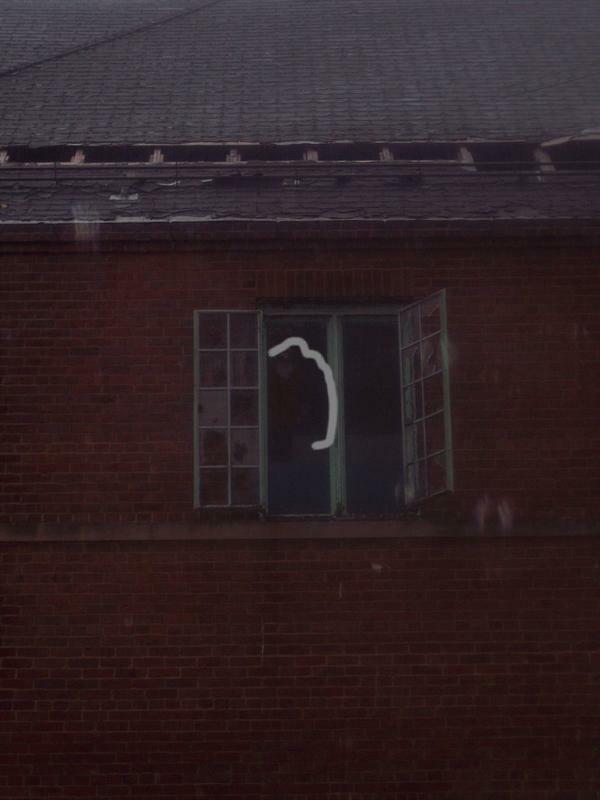 This photo was taken by one of our investigators. She didn't realize at the time that someone was looking back at her from the window! Click here to read about the Henryton State Hospital investigation.